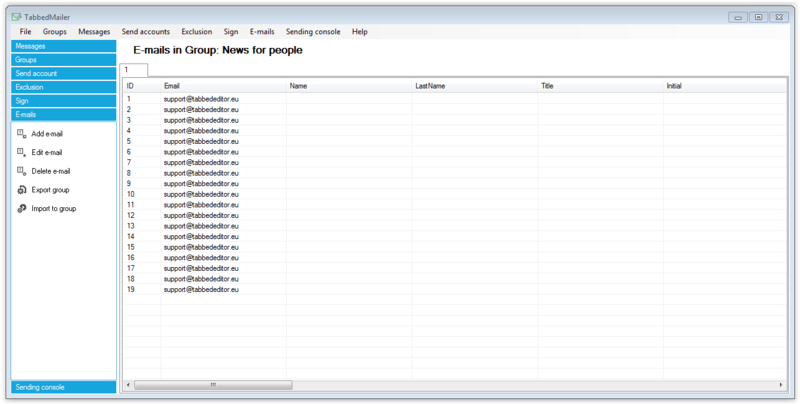 In each group can be defined any number of e-mail addresses. Click on the menu File, then select the option Groups. On the right, select a group by one click, and then click the menu on the left side position Edit group e-mails.